This tutorial will show you how to make a polka dot pattern in Photoshop and how to use it to create a background. I will use Photoshop CC, but you can make the same background with an older version of Photoshop or using GIMP which is a free alternative to Photoshop. 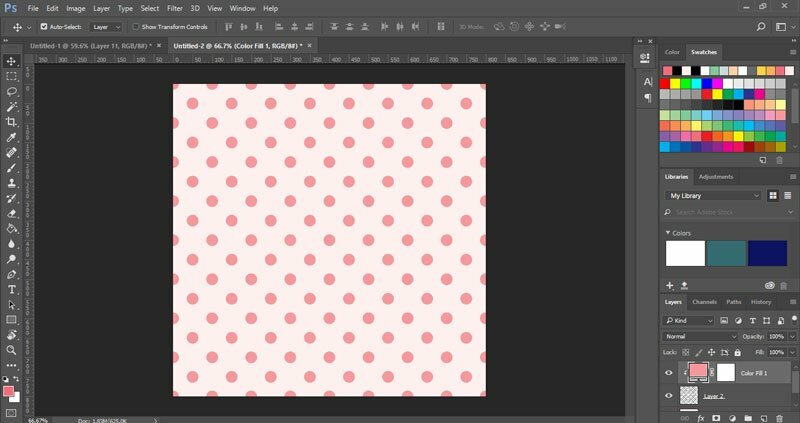 Here’s how to create a polka dot pattern in Photoshop. Scroll down for the written tutorial. Create a new canvas by going to File > New. Set the width and height to 100px and from Background Contents select Transparent. This way you will have a transparent background instead of the normal white one. If you want to print the pattern, set the resolution to 300ppi and the color mode to CMYK. Otherwise, if it’s only for the web, set the resolution to 72ppi and the color mode to RGB. Let’s add a couple of guides that will help us align the polka dots. These lines will be invisible in the final image. Go to View > New Guide, select Vertical and add 50px. This will add a guide in the middle of the image. Next, add a Horizontal guide at 50px. Let’s draw a polka dot. I’m going to use the Ellipse Tool. You can also use the Brush Tool. 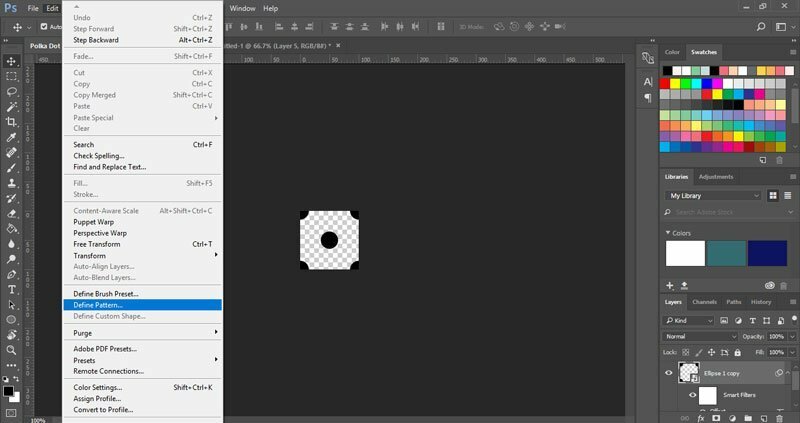 Select the Ellipse Tool and click on the canvas. Enter the width and height of your circle. I’m going to create a polka dot that’s 30 x 30px. Place the polka dot in the middle of the image. The guides will help you center it, and if you have the Snap option checked (View > Snap), you will feel it snapping in place in the middle of the canvas. You don’t need the guides anymore. If you want to clear them, go to View > Clear Guides. Duplicate the layer by right-clicking on Layer 1 in the layer panel and selecting Duplicate Layer from the menu. This will create a second circle that’s on top of your first polka dot. With the layer copy selected, go to Filter > Other > Offset. Make sure Wrap Around is selected and add 50px to the horizontal and vertical boxes. Select Preview to view the changes in real time. As you might remember, our canvas is 100 x 100px. 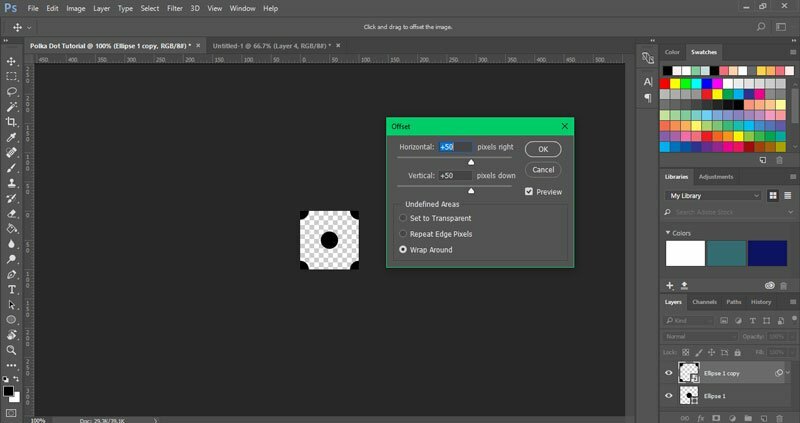 The Offset Filter will move the polka dot 50px to the right and 50px down. With the Wrap Around option selected, the polka dot will be split into 4 equal parts that will cover the corners of the image. If your canvas is bigger or smaller than 100px, just add half of your image’s width into the horizontal box and half of your image’s height into the vertical box. This is your polka dot pattern tile. 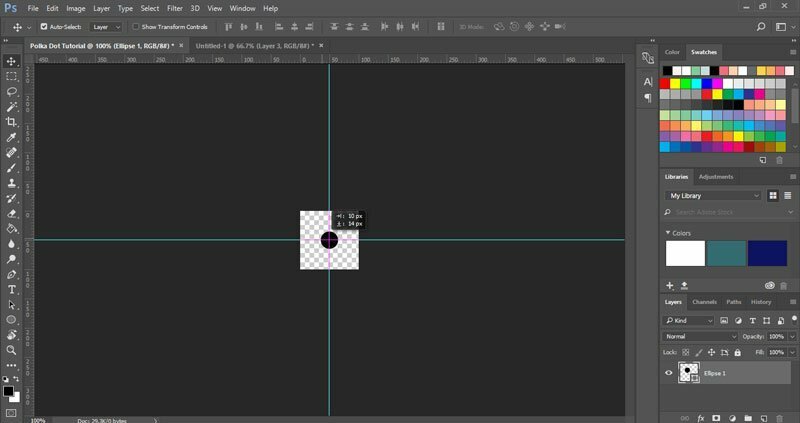 To save the pattern as a Photoshop swatch, go to Edit > Define Pattern. Let’s apply our new pattern to a new image and create a polka dot background. Create a new canvas from File > New. Mine is 800 x 800px and I’ve set the Background Contents to white. 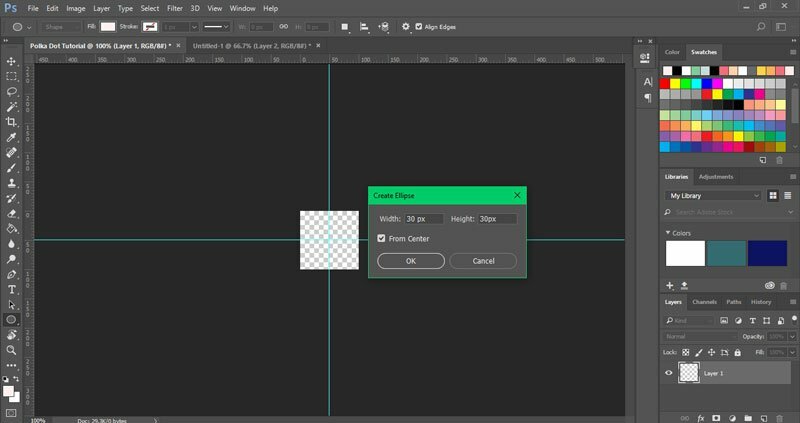 Double-click on Layer 0 in the Layers panel to unlock it. Now fill the layer using the Paint Bucket Tool and the color you want. 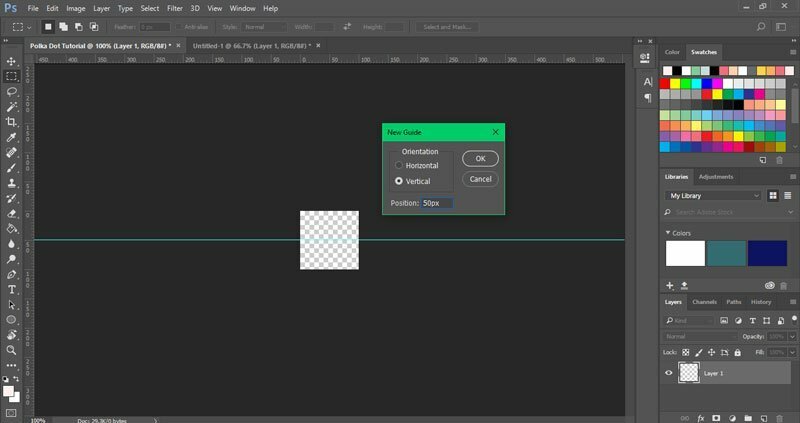 Make a new layer by pressing Ctrl+Shift+N (or Command+Shift+N) or by pressing the New Layer icon that’s at the bottom of the Layers panel. Add the polka dots to the new layer by going to Edit > Fill. From Contents, select Pattern and search for your new pattern in the Custom Pattern list. If you want smaller or bigger polka dots, or if you want to change the spacing, you will have to create new pattern swatches. You can change the colors as many times as you like, you just have to make sure that the background and the pattern are on two different layers. If you want to change the color of the background layer, just select Layer 0/Background by clicking on it in the layers panel, and fill it with whatever color you want using the Paint Bucket Tool. 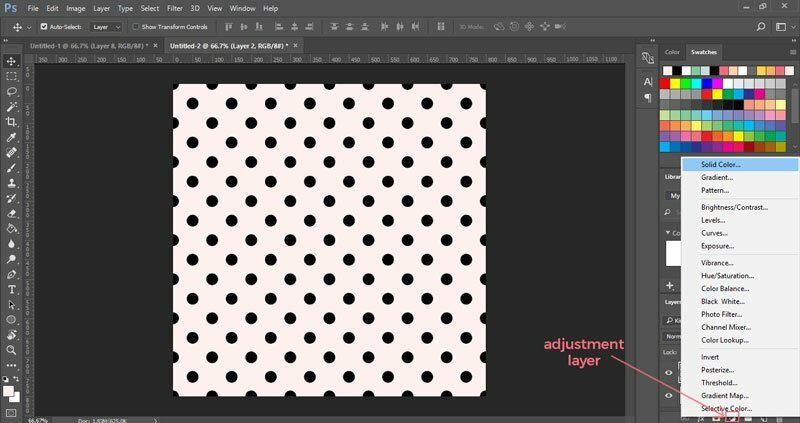 To change the color of the polka dots, we are going to use an adjustment layer and a clipping mask. 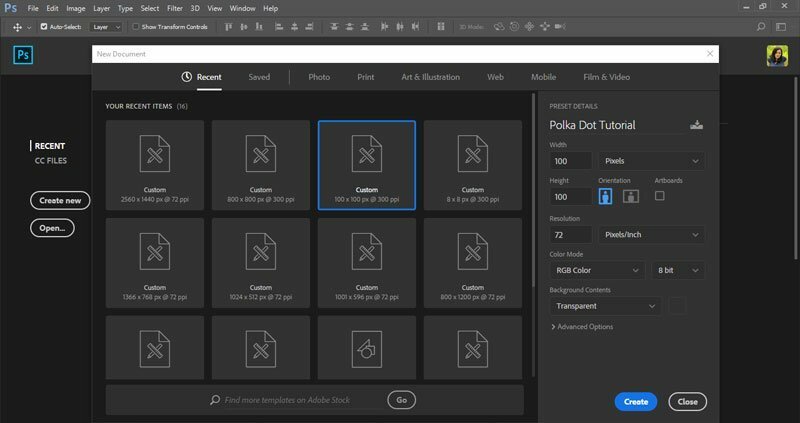 With the polka dot layer selected, click on the Create new fill or adjustment layer that’s at the bottom of the Layers panel and choose Solid Color. This will fill the whole layer with a solid color. 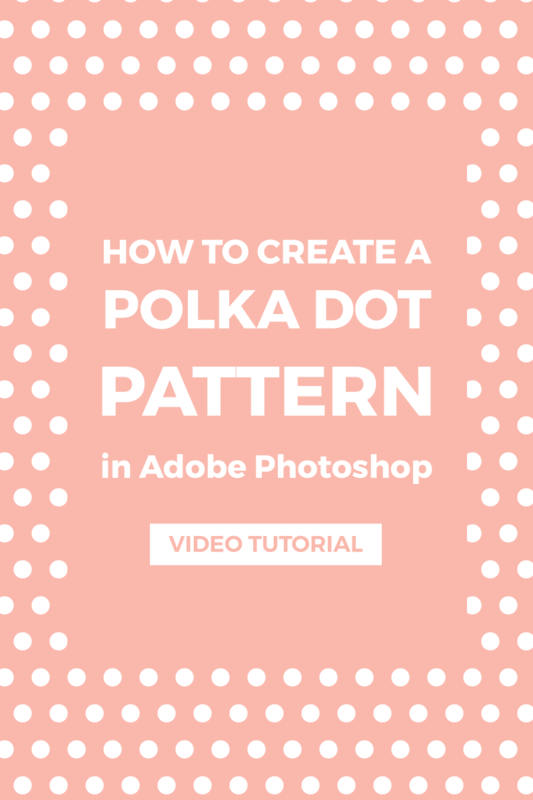 Use a clipping mask to colorize the polka dots. Just select the solid color layer and go to Layer > Create Clipping Mask. 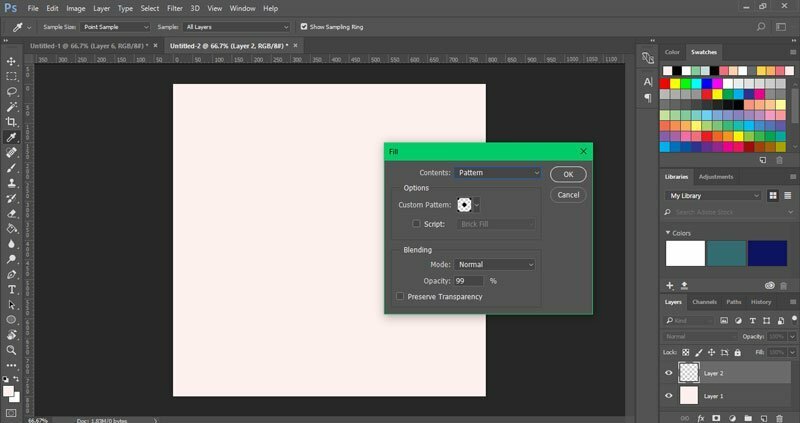 Tip: Instead of a solid color layer, you can choose Gradient from the adjustments layer menu. 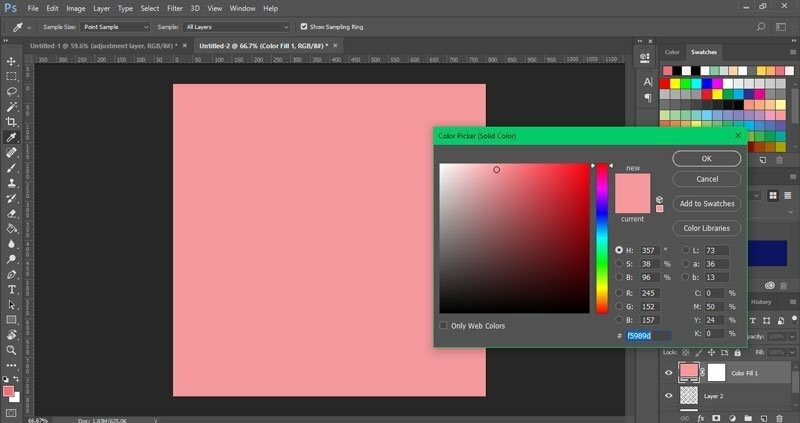 Create a new gradient or use one of the predefined gradients. Then add a clipping mask to recolor the polka dots. You can also use a texture, like gold foil or glitter, with your polka dots. This was really helpful for me. It was really easy to do. Great tutorial, thank you. I want to use this to make labels for favors — how would I use/insert it as a background? Thanks! Very useful. Your second and third steps aren’t necessary, just switch the background contents to transparent and you’re good to go. Glad you liked it! Those steps are just an old habit of mine. You’re welcome! Let me know if there are other tutorials you would like to see. OOOH, thank you for this tutorial! Perfect! Found you on google when I searched `create a polka dot background photoshop` so i`ll be checking out the rest of your tutorials for SURE! 🙂 Thanks! When I try to do this for a header image of 1140px wide and 200px high, the dots come out flat and not even. I’ve had a hard time trying to figure out the number of the offset as well because I’m using a different image size. Can you suggest something that will better help me come out with a cleaner polka dot image with the height and width I’m using? Thanks. Actually that’s okay. Your way worked perfectly. Thanks. Glad to hear that it worked. It might be a bit confusing at first, but you need to create the small, square pattern at first and then use it on your header. Super simple & easy to follow, & so cute! Thank you for posting this!! So helpful!! You’re welcome, Natalie! I’m glad you like it. this tutorial is great! so easy to follow. the only thing is i can not seem to get the polka dots to change color. i cannot figure out what i am missing. I’m glad you like it, Daneen. The shortcut is actually command+option+delete. Sorry for the mistake! You can also do this by pressing command and clicking on the layer you want to color in the Layers panel (the little icon next to the name). It will select all the polka dots. The you can go to Edit/Fill and select Foreground Color from the drop down menu. Thanks for the tutorial. It worked out fabulously. Now how do I make the polka dots bigger? Thanks! You’re welcome, Karla! Just make the brush size bigger or use the elipse tool and draw a larger circle. Actually, that didn’t work. I was trying to do it for fabric and I needed a repeatable pattern with the large dots. This method doesn’t work unless one changes the size of everything and it takes guessing. What I did was to make the size of the background the same as the yardage of my fabric. From there, I did my guidelines in inches and then placed the dots where I wanted them. It worked quite well and now I have the size of dots that I want. Just had to make a few adjustments. Thanks very much! I’m glad you found a way to create your pattern. 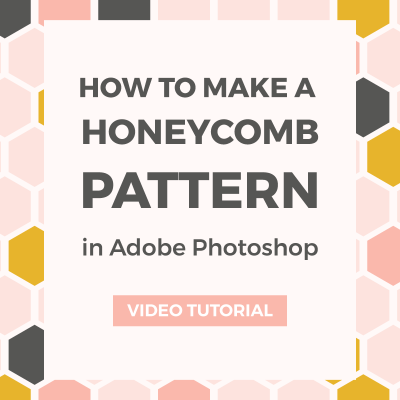 Unfortunately, if you use Photoshop, you will have to redo the pattern every time you need a different size. Illustrator is better suited for this type of work because you can edit and scale it without losing quality. Thank you SO much for this excellent tutorial! It was so easy to use, follow, and change up for what I needed. 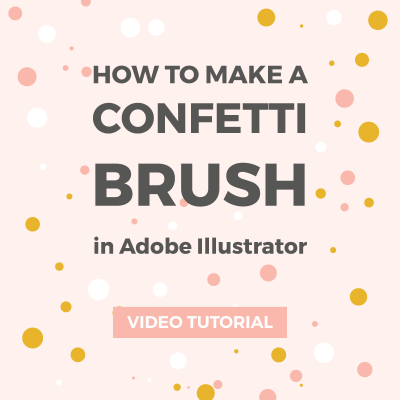 I made so many different types of polka dots and patterns with Photoshop brushes using this tutorial! You made it so effortlessly easy to learn. Thank you so much for your comment, Amanda! I’m so happy you like it. 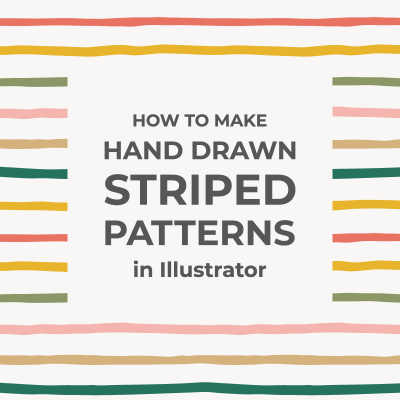 Yes, you can make so many patterns with this technique, and it only takes a couple of minutes to do it. Do you think this works with older versions of Photoshop? Tried using cs6, but I got stuck at the offset part where I had to create multiple dots. Yes, it does work with older versions of Photoshop. 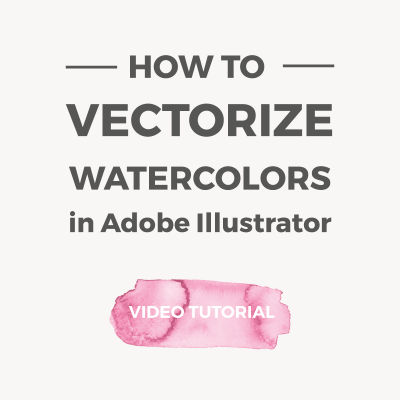 I used CS4 or CS5 for the first version of this tutorial. You can also take a look at this tutorial: https://www.elancreativeco.com/make-seamless-pattern-photoshop/. I didn’t get a chance to update it and I think it was made with CS5. What is the problem? Maybe I can help.